Your personality & lifestyle is unique so why should your hair be any different? 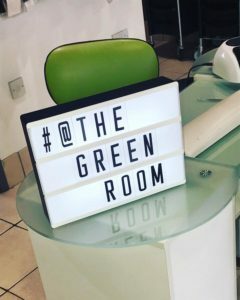 The Green Room professionals believe in listening to you, getting to know you & recommending hair cut, colour & other services to best suit you; making you feel & look awesome. We offer a professional edge while offering a friendly & comfortable environment with a unique experience that captivates & inspires our clients visit after visit. Our Sussex salon makes us an ideal location for your busy days, whether its a lunch break or a pampering day we are here to the shape the future of your hair. Renowned for our fun & friendly atmosphere, we offer competitive pricing that make us the ideal salon for your visit time after time. This cosmopolitan town is home to the largest beach-launched fishing fleet in Europe, the remains of the first castle in England to be built by William the Conqueror, a preserved Old Town and a strong local arts community. But don't be fooled, Hastings is very "up-&-coming" as the Old Town has recently seen a flurry of quality boutiques open. Along with Deli's, Coffee shops, Arts & Antiquities traders and many more places to keep a traveller interested. The Green Room is situated right in the heart of this lovely town. Indulge in luxury beauty treatments and take advantage of the latest face and body care treatments, delivered by our experienced professionals.